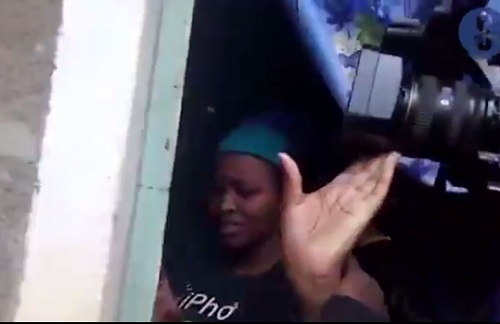 A mild drama occurred on Wednesday in Nyeri town of Kenya, after a 40-year-old Pastor, Timothy Wanyoike, was caught in s*xual acts with his 21-year-old pregnant sister-in-law, identified as Scholar Kariuki. 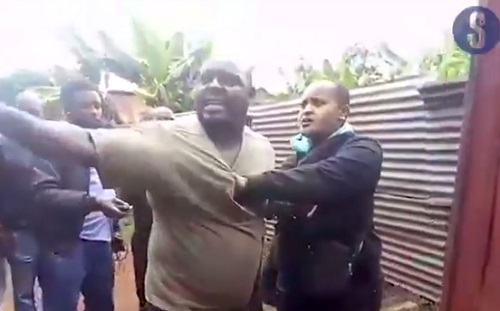 It was gathered that the lovers were caught in Wanyoike’s one-bedroom apartment by Kariuki’s husband identified as Macharia, and following the discovery, Macharia descended on Wanyoike with kicks and blows. He claimed that the two have been involved in the illicit affair for the last four years. Macharia disclosed that he had been monitoring his wife’s text messages and decided to “lay a trap by pretending” he was away on a field assignment. Upon the discovery, residence of the area joined Macharia and descended on the 40-year-old Pastor. Man Of Dog.See Your Life.Mtcheew.Nawaa O!